It’s summer time, which has always given me the travel bug. But being new parents, my husband and I are only dreaming of all the tropical vacations that await once our babe gets a bit older. If you’re like us, you might not be able to jet off to the tropics, but you can definitely bring the island to you! Summer is always full of cookouts, bonfires, and my favorite…themed parties. 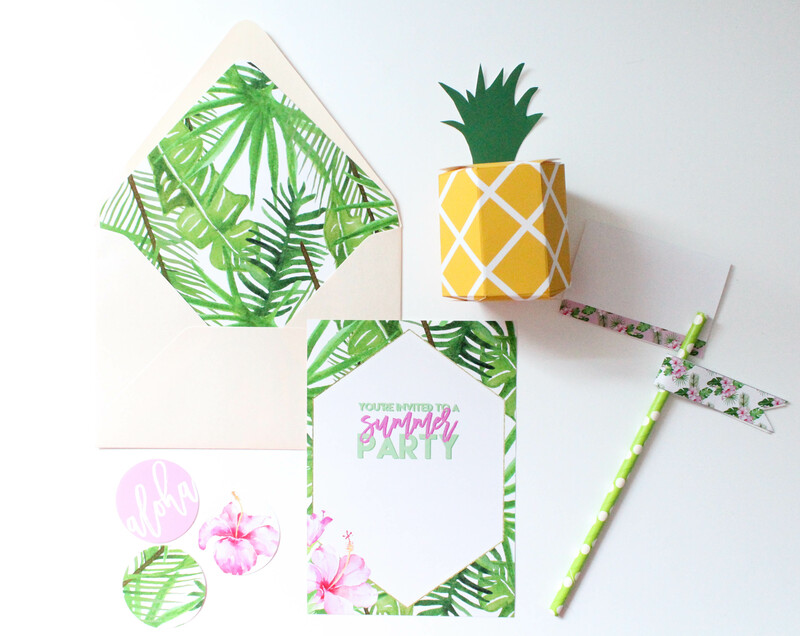 So, of course, I had to create a tropical themed party pack. Motherhood is using one hand and accomplishing a full day of work within a two hour nap time, so I made the assembly of these invitations and party items as simple as possible. One of my favorite tools to use in the studio is a circle punch. 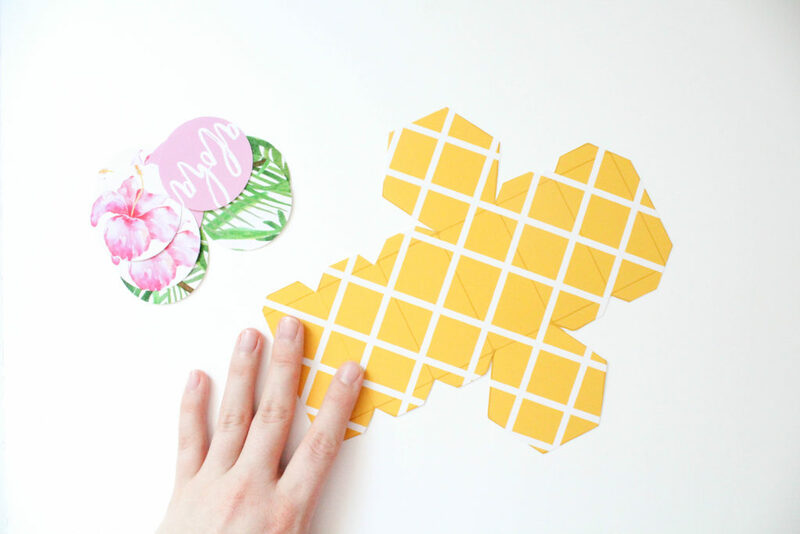 They’re affordable and pretty much every craft or DIY involving paper calls for a nice 1 inch circle punch. All you have to do is trim the edges of the paper and then use your punch to punch out the cupcake toppers. Once they are cut out, glue a toothpick onto them! I also think these would look super cute as garland or table scatter! 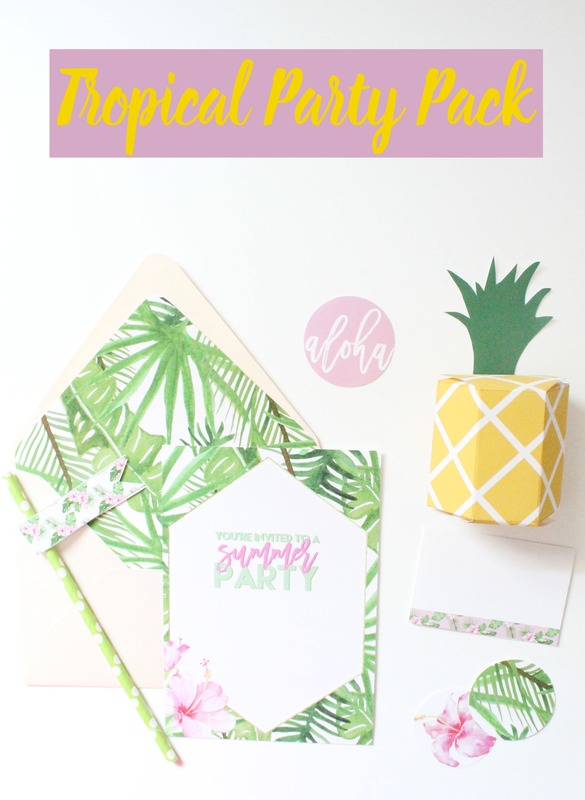 The party pack includes an invitation, envelope liner paper, drink flags, cupcake toppers, pineapple gift boxes, belly band (to wrap around the envelope), and food tent cards. In order to add your own text over the summer party, open the PDF in a program like Word or PicMonkey and overlay your text. Otherwise, just write right on the invitation! 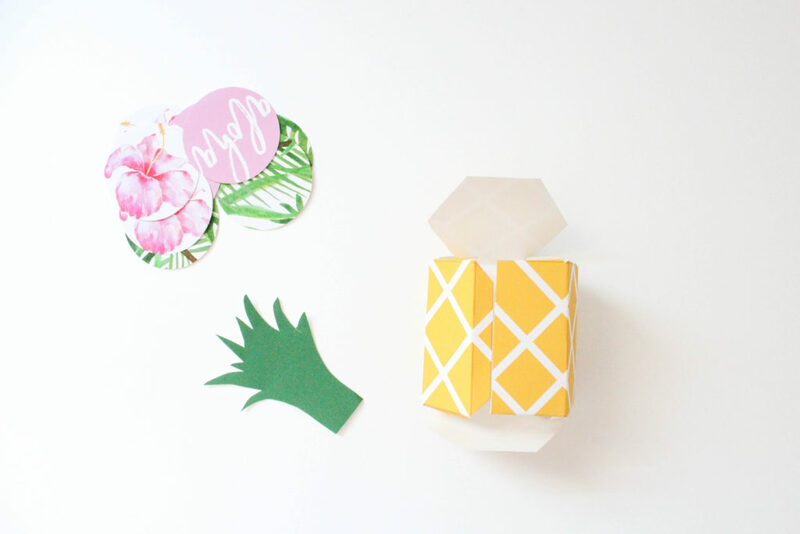 The pineapple treat boxes are definitely the “pineapple of my eye,” and were so incredibly fun to design and make. 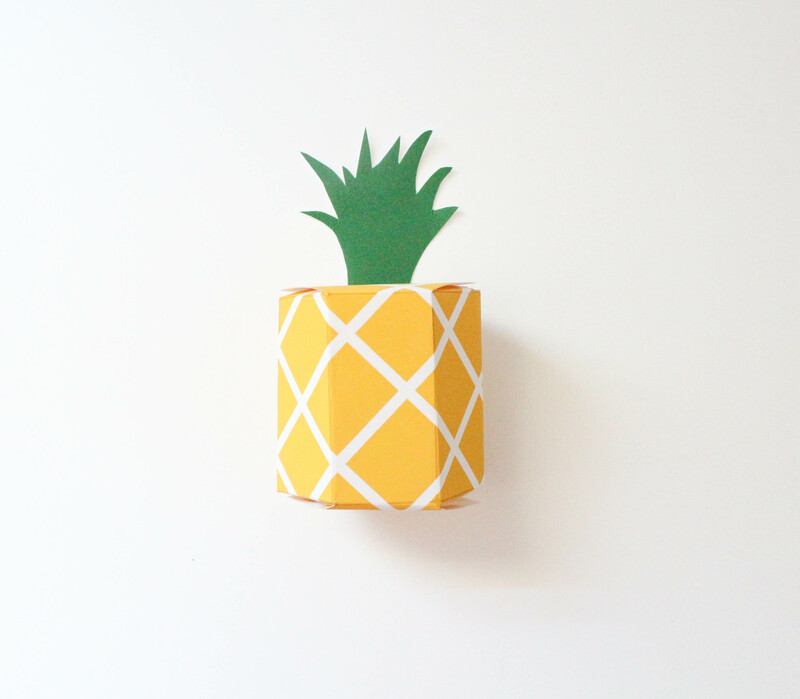 The pineapple is made from a hexagonal prism, which means all you have to do is fold on the dark yellow lines to see your pineapple come to life. 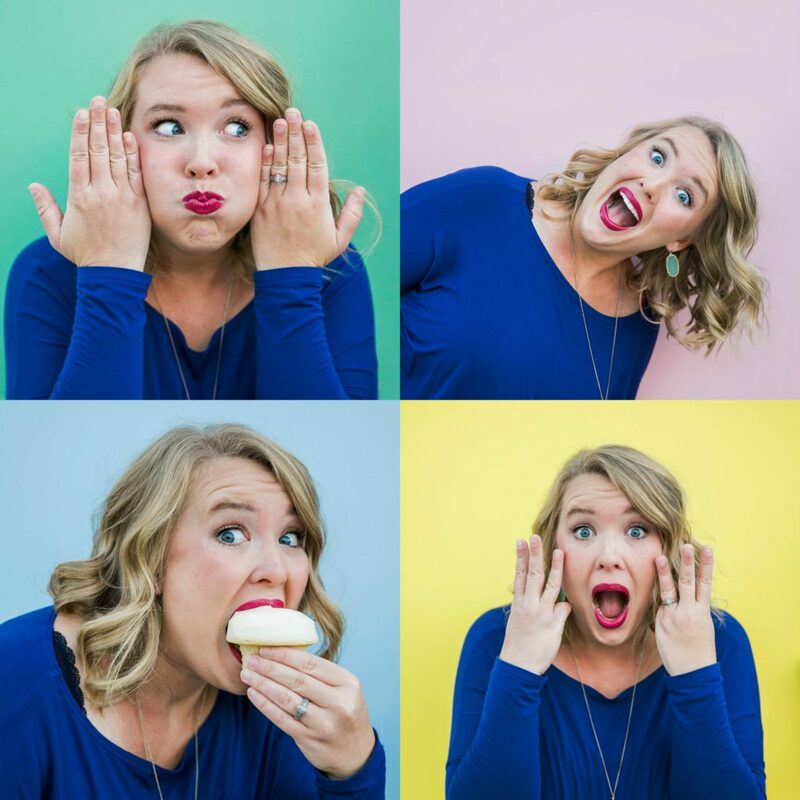 It’s a great craft for your kiddos to do while you’re working on cooking or planning the rest of your party! Just beware, they may need some help glueing. Your pineapple should look like this once it is all folded. The little tabs will serve as a place to put your glue. Only put glue on the edges and bottom, the top will need tape so you can put your treats in. 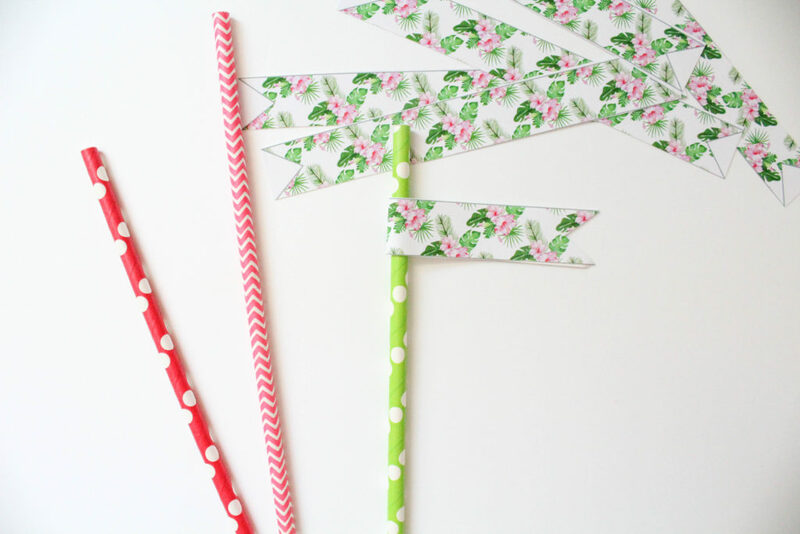 Little drink flags are the perfect detail to add to your party, especially when you combine them with some colorful paper straws. I picked these straws up at Walmart. Instead of using regular glue to glue the drink flags, I love to use EK Success Zig Carded Jumbo Tip 2-Way Glue. When the glue dries before being attached, it is repositionable. I can never find it in stores around here, so I buy mine off of Amazon. 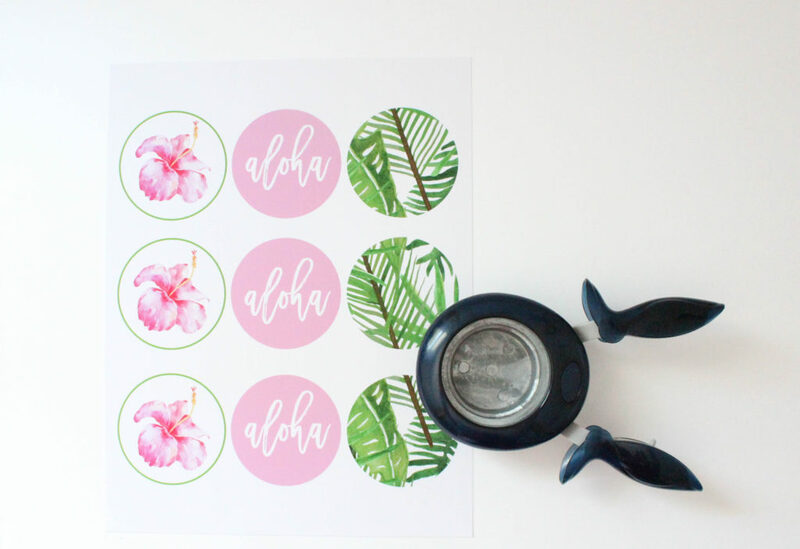 Break out the piña coladas, lady, because that’s all it takes to decorate for a tropical party! What are your favorite themed parties? !